The past several days have witnessed a convergence of many events, unrelated perhaps, but like all things juxtaposed by fate, each gives to the other a different and new meaning. There were the untimely deaths of only the third New York catcher to be elected to the National Baseball Hall of Fame (although he has gone to immortality as a Montreal Expo): The Kid, Gary Carter. (The others are Yankees: Bill Dickey and Yogi Berra. Don’t get me [Evander] started on Thurman Munson.) The Kid may have had the single greatest, most-improbable in-the-clutch hit I ever witnessed: bottom-of-the-ninth inning, two men out, two strikes, Game 6, 1986, Mets versus the Boston Red Sox. Condolences from Right Off the Bat go to the Carter family. As this gutsy ballplayer left the fields of earthly perception, at the age of fifty-seven, so Whitney Houston, the great voice, left us too soon, at forty-eight. Our prayers go to the Houston family, particularly to gospel-singer extraordinary, Cissy. 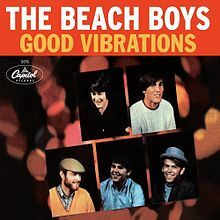 Yesterday, February 17, also marked forty-six years since the first tracks of “Good Vibrations” were laid. Speaking of good vibes, it was the day New York Yankees pitchers—minus the troubled A. J. Burnett, who is being shipped off to the Pittsburgh Pirates, pending approval by the commissioner of Major League Baseball plus the passing of a physical—and catchers reported to Tampa to begin spring training. Good, good, good vibrations. This entry was posted in Baseball, Right Off the Bat Website, Yankees and tagged A. J. Burnett, Bill Dickey, Boston Red Sox, Gary Carter, Literature, Major League Baseball, Montreal Expos, New York Mets, New York Yankees, Pittsburgh Pirates, Thurman Munson, Yogi Berra. Bookmark the permalink.